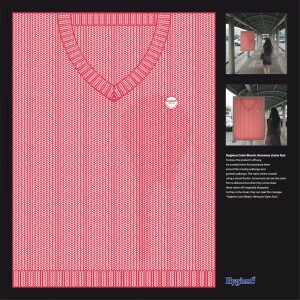 I Believe in Adv posted a great static outdoor ad for Hygiene Color Bleach that uses a visual illusion. 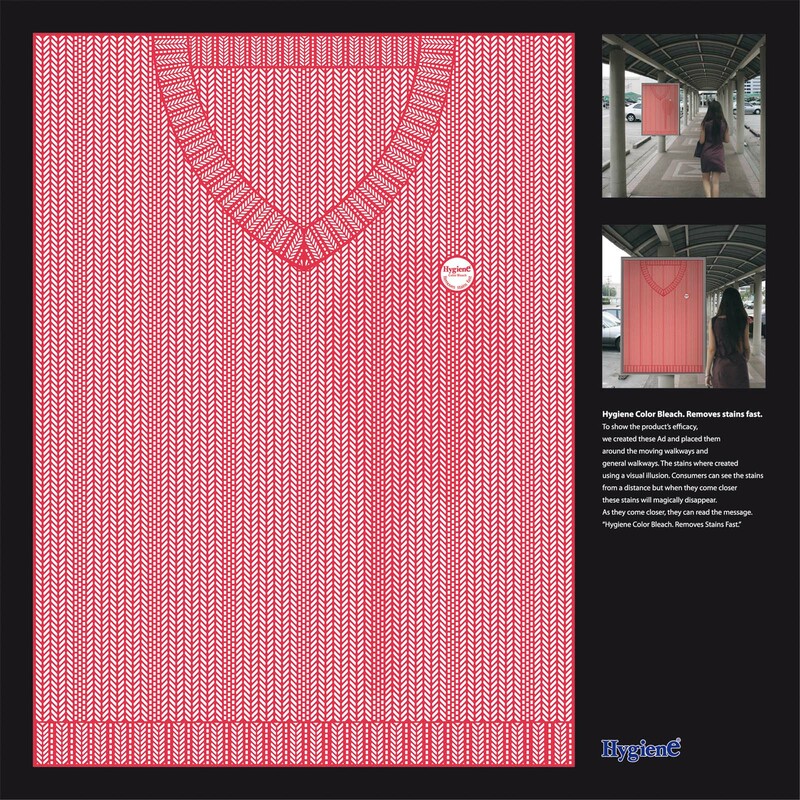 The ingenious ad created by McCann Worldgroup, Bangkok, Thailand, hints at the product’s efficacy by showing a stain on a sweater from far which disappears as you get closer to it. Click on the image above and try for yourself, it works on-screen too. I don’t think I’ve ever seen optical illusions in ads (unless you count album covers)—what about digital signage? 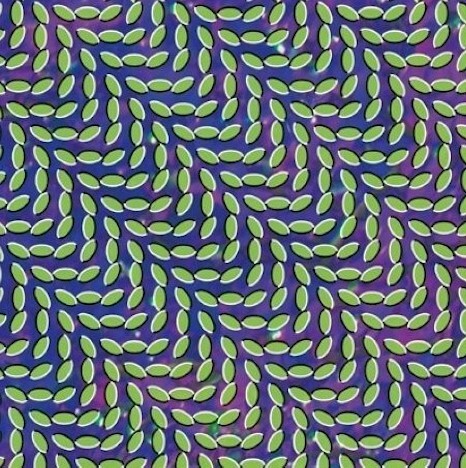 Anyone seen any creative uses of optical illusions in digital signage content? Earlier this year Transport Quebec launched a photo-radar pilot project at 15 locations across the province (6 being here in Montreal) to nab speeders and stop-light offenders. Break the law and get a statement of offense in the mail. But the surveillance technology isn’t only being used for keeping the highways safe–digital roadside billboards are using it too. 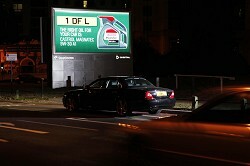 Castrol is running a digital out-of-home campaign in the UK on Clear Channel billboards called ‘Right Oil Right Car’ that gives passing drivers oil recommendations for their car. The surveillance technology scans car registrations ahead of an upcoming billboard and matches it to the make and model of car via the Driver and Vehicle Licensing Agency database. A little up the road, the driver is delivered the correct oil recommendation for the vehicle on a digital 48-sheet. This is another great example of how digital OOH and the dynamic aspect of digital signage can target, or speak to, the audience. The only thing I would have changed would be to actually include the model name of the car in the copy. I don’t think including the license plate number is such a good idea. Driver’s will be a little surprised to see it up there and feel that its a breach of their privacy. Something along the lines of “The right oil for your Navigator is:” would wow any driver, reinforce brand-recognition and become the subject of water cooler talk, extending the reach of your ad without having drivers think the advertiser is logging data on them.